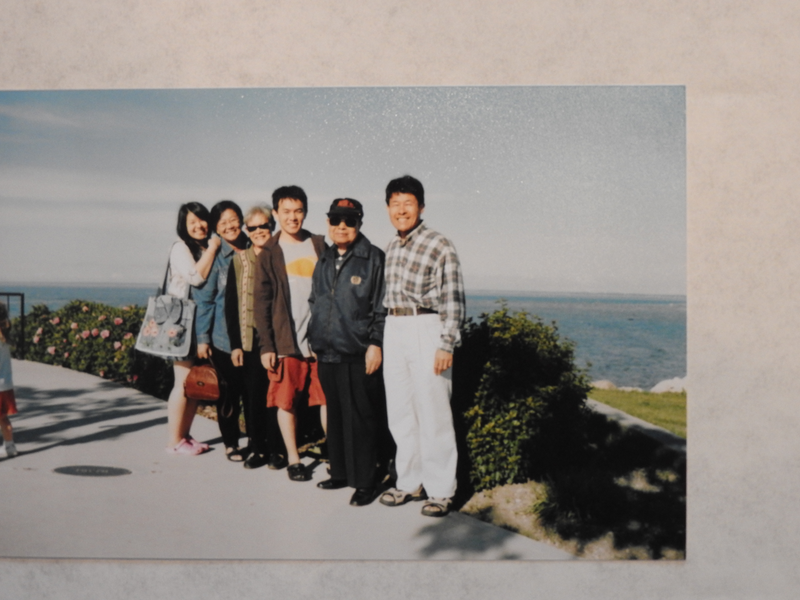 My family moved to Canada back in 1995 through the Immigration Investment Program. The main requirement for this was to invest and own a business in Canada for a period of time. Through a friend’s connection, we ended up buying a small photo finishing store in a small plaza (this was about half a decade before digital cameras became popular). Back in the days, to view photos, you need to actually “finish” it. You could do it on your own in a darkroom or give it to a photo finishing store to print using this giant closet-sized machine. While my dad loved photography, starting a business on it wasn’t his preferred choice. 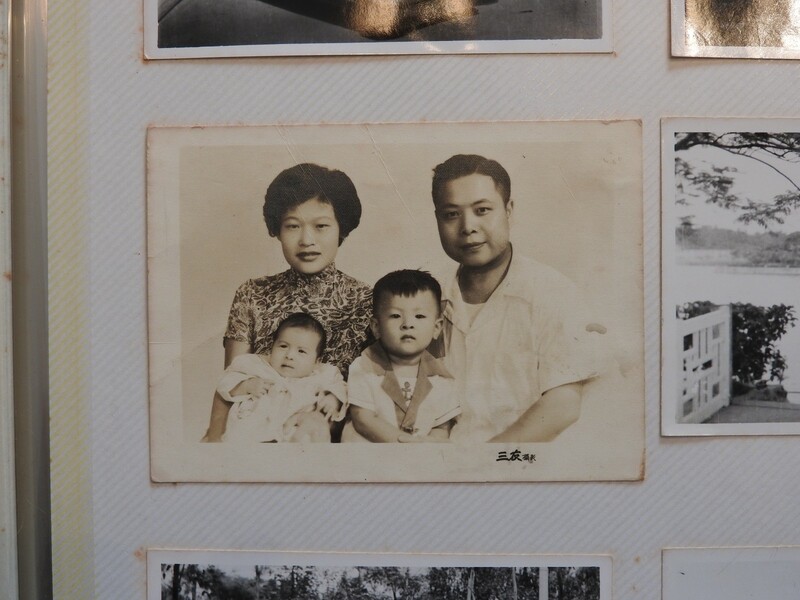 Back in Taiwan, he was a civil engineer and had his own construction surveying company. He did many projects for large construction and engineering firms. Before that, he was in the military and led projects such as building bridges, roads, and even a secret air force airport. Unfortunately, none of that really mattered when we came to Canada. As many new immigrants may have experienced, his foreign qualifications and education meant nothing in Canada. He was required to have Canadian-based education and experience in order to get a license. He was willing to do full-time English study for 1–2 years but it was impossible for him to do an additional 3–5 years in college/university for certification. He had a family to feed. In the end, he was “unqualified” to practice his profession and had to look elsewhere in order to complete the immigration requirement. The photo finishing store was the closest thing that he could get his hands on at that time. We were just one little store located on a street called Winston Churchill Boulevard in Mississauga (a suburban area nearby Toronto). The store my parents owned was called Big Score Photo. I remember being a fifth-grader and going to the shop every day after school and all day on Saturdays. 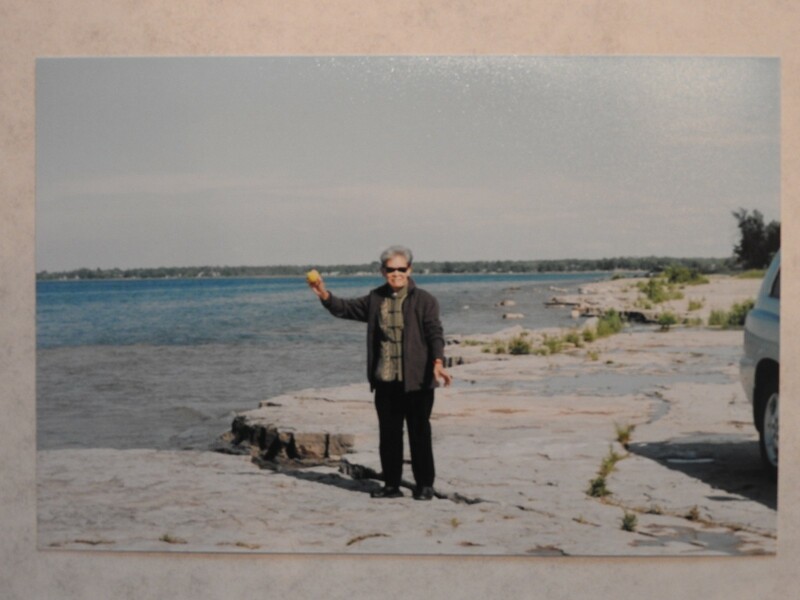 Aside from home, that was the place where I spent most of my early years in Canada. I witnessed the hard work they put into every film and always strived for the truest colors of each image. They would actually throw out an entire set if the color was a bit off. They took pride in their work and services. But it was a very tough business to be in. In fact, we were losing $3–5,000 a month running that place. On top of the rent, utilities, and inventory, we also had an old photofinishing machine that was worn out and broke down often (fixing it was not cheap). They were left with little-to-no money for advertisement and marketing. The lack of growth was slowly killing the business. The overwhelming stress even caused my mom to faint a few times. The financial stress was really caused by low revenue, which resulted from a lack of exposure and traffic within the community. Even though the store had been there for a few years, very little people knew of us. The bigger franchises were often the top choices for people. They had more marketing dollars to be on TV, magazine, and radio. They had the budget to work with postal offices to distribute flyers and coupons. They were well known and popular. Trying to take their businesses meant we had to drop our prices even further, which made things even worse. To improve the situation, my dad requested my sister and I to bike around the neighborhood on Saturdays and drop flyers in people’s mailboxes. It was a sporadic initiative and we didn’t do it systematically. The result was hard to measure and we didn’t see a significant lift to our revenue. Even though I was just between the age of 10 to 12, I could feel the the pain and struggle. Especially when these pressure translated into our home and caused anxiety and tension. It was not an easy time for me. Well, that thought stayed with me all these years. It motivated me to pursue a career in marketing. 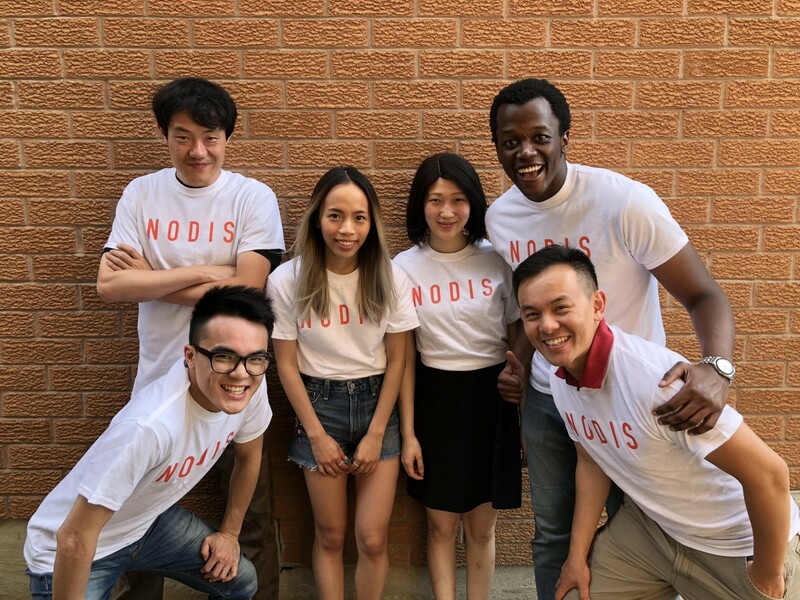 That thought was my cause for nodis.io. I originally thought of the idea back in the summer of 2016. I remember I was just getting off work and I randomly looked at a truck. It had some company’s logo and I just thought to myself, what if the logo was on people instead and they would walk around like a walking billboard? Trucks can’t interact with people, but people can! Businesses could potentially get an army of promoters for more exposure and promoters would be paid by the businesses as a side gig. This is what we called a “Challenge”. I started working on it with a group of people, but eventually people got busy and it fell through. It was until January 28th of 2018 that one of the members from the 2016 team contacted me again to restart the project. However, he didn’t just want to restart the project; he wanted to add blockchain technology to it. This will allow promoters to be paid with cryptocurrency instead of fiat currency when completing the Challenges. It will help reduce businesses’ marketing expenses. The businesses would then list vouchers for promoters to buy in token as an utility. Businesses receiving tokens will be able to utilize them to buy more Challenges. This whole process will create a flow of token so that not one type of user will be stuck with tokens that they don’t know what to do with. Not only do we want to help small businesses, we also want to create a micro economy that everyone can contribute and get rewarded. I am neither a technologist nor do I have a technical background (as you can see from my first article). Blockchain and cryptocurrency were foreign words to me. However, I read enough news to know that blockchain can potentially disrupt data/value exchanges without having to trust a middleman. I also saw that crypto has the potential to re-shape our thinking in how products and services can be valued. When I heard that he combined my original idea with the new frontier of technological movement, I knew I just had to jump in! One of our first big decisions working together is that we do not want to just ride the hype and launch another new cryptocurrency. There are already 1000+ altcoins out there. We want to create a valuable solution to solve a valid problem for a niche group of users. We do not want the valuation of our company to be solely based on the value of the crypto. In our project, blockchain will be used to better solve the problem and not just a buzz word. The big question now is…. What can blockchain really do for small business marketing?